The best time to discuss Credit Control is before a sale. But, if customers have received the goods/services you provide and payment is not forth coming, then it’s time for the dreaded Credit Control call. No one wants to receive this call, and no one wants to make it – so here are some steps to ensure that when the time comes, you can make the call a success. Find out about the customer and your business’ history with them. Have you had issues collecting payment before? What was the best approach? How long did it take to receive payment? Then, find out the details of the unpaid invoice, who was it sent to, and how much it requested. Find the contact details of the person you need to pay the invoice. Once you’ve gathered all of this information, make sure it’s clearly laid out in front of you during the call. Before the call, think of at least two solutions which your customer can use to pay you. Perhaps you can take the payment by phone, or provide a digital method of payment. Don’t accept the offer of a cheque through the post. They can be easily lost, or bounce. Make sure that your invoice has been received by the right person and that the details are as the customer expected. Admit to any mistakes involving sending the invoice to the wrong person, give your customer time to pay up – and don’t make excuses. Just as you’ll respect your client if they tell you the truth, your client will respect you too. Mistakes happen. Be honest about them. It may help to stand up when making the call. Your voice will sound lower, and your posture will be better – leading to a more authoritative sounding call. Make sure you have all your notes in front of you, especially the name of the person you’re trying to reach. During the main section of your call, ask your clients questions which have short answers. Use the five ‘W’s – when, where, what, who and how. If excuses follow, be prepared to find solutions. Offer to take over the phone payment, or send them printed copies of forms. Show off your problem-solving skills, and remember to keep your voice light and friendly, and to stay in control. 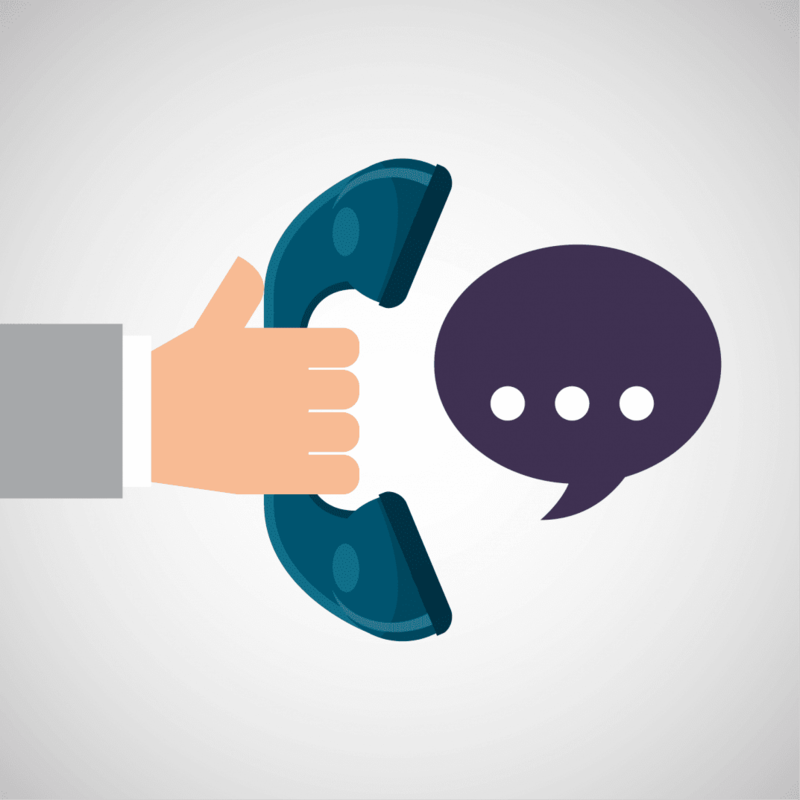 If you schedule a telephone meeting with a customer to discuss payment avenues, but dial in to find that there are multiple people on the client-side arguing for more favourable terms, don’t let them talk you into agreeing to let them have more time. In a busy office, it can be easy to get distracted. If the debtor asks you to wait, don’t start writing an email for a different client. If you can’t hear properly, take the call somewhere quiet – where you’re more likely to remain calm. If you’re in an office with a lot of distractions, put a ‘busy’ sign on your desk, and explain what it means. They may even follow your example. After the call (and after taking time to consider any further solutions) write a confirmation email outlining the agreed payment method in as much detail as you can. You may even want to include a series of numbered steps for the customer to follow. Include a paragraph or two about next steps, and what will happen if the payment is not made. Make sure that the next steps are agreed at the end of each call, what and when tasks must be completed. Whether there’s a task you have to complete, or something your customer needs to do, make sure there’s a deadline. For example, if your customer agrees to send a payment later that month, get them to agree on a date. Friday the 24th is much more achievable than, ‘Some point this week’. If you stated in an email that the consequence of not paying was legal action, then make sure this happens. If your client believes that they can get away with not paying you, they will do this again in future. It can be tempting to chase your client. But if you start calling your customer every day, they may refuse to pick up the phone altogether. Schedule your calls, and contact the customer before the payment is due, to give them time to get organised. If the customer is not available by phone, try collecting payment through emails or letters instead. Hopefully you can follow these ten steps to make your Credit Control calls more successful, or if you’re preparing for your first call, you can use the steps to structure your preparation, and the call itself. If you are new to Credit Control, why not write your script now, and prepare for your next call?